With moody indigo lighting, a stage set with drums and keyboard, the owner’s 50-odd personal guitar collection displayed on the walls, and even a Picasso print or two, this out-of-sight bar attracts ’80s music lovers and mingling singles. 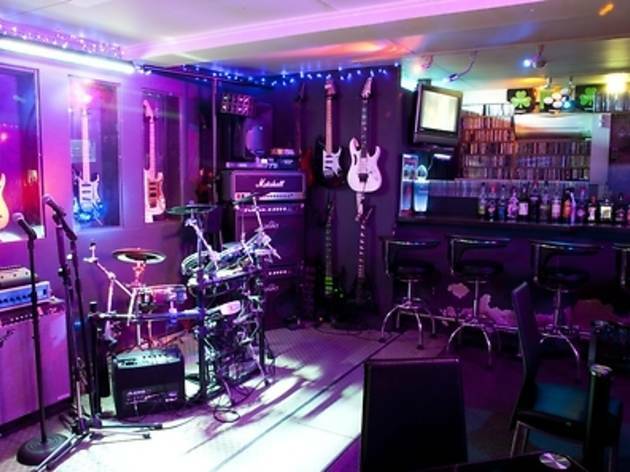 Opened ten years ago by 33-year-old Nobuyoshi Doi, Gravity favours hard rock – although the occasional Michael Jackson track has been known to creep in – and hosts bimonthly live band events. 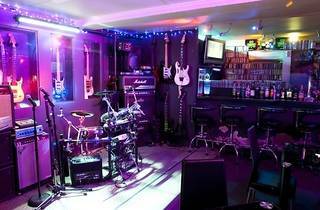 It’s a little off the beaten path – in Nishi-Shinjuku as opposed to Kabukicho, and a bit of a walk from Shinjuku Station – but that’s the way Doi wants it, saying he likes the fact that his bar has become known in rock circles primarily through word of mouth.